Regional voting for the 2019 election to the PSIA-AASI Eastern Division Board of Directors will take place online via electronic voting on a secure, dedicated web page. Online voting will begin in mid-January and end on March 8, 2019. Official results will be announced by March 15, 2019 via broadcast e-mail, social media and the PSIA-AASI Eastern Division website and subsequently via the SnowPro and Eastern Division web site. The terms of the new Board members will begin on April 1, providing the opportunity for newly elected representatives to communicate with constituents prior to the June Board meeting. YOUR PERSONAL INVITATION, including your login information and instructions, was e-mailed to all eligible voters on January 16, 2019. Click the graphic above to log in to the voting site. Eligibility to Vote: All members in good standing as of December 31, 2018 may vote in the subsequent regional election. The Eastern Division of PSIA & AASI is divided into seven geographic regions. As a member, you may choose to be affiliated with one region – the one in which you work as a snowsports instructor or the one in which you live. This affiliation is for regional mailing and voting purposes. 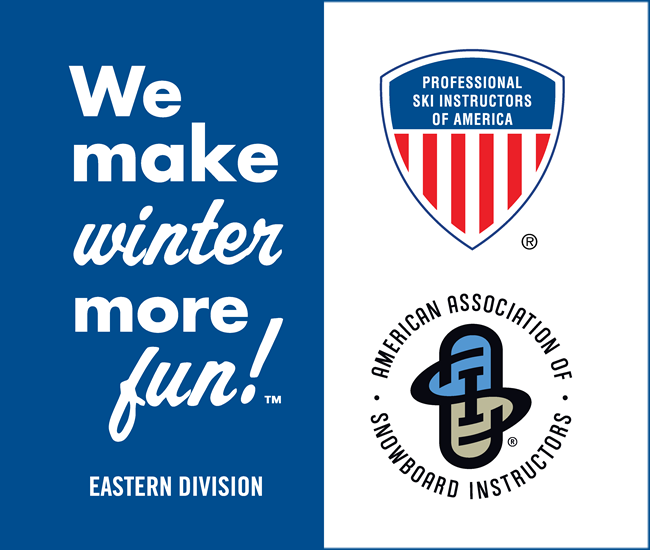 Click here for more information on PSIA-AASI Eastern Division Regions. You should affiliate your membership with the region in which you are most active as a snowsports instructor. If you have not previously chosen a regional affiliation (when you joined), the region in which you live would have been assigned as your designated regional affiliation by PSIA-E Bylaws, Section 10.8. In order to change your regional affiliation (to where you work as an instructor) you must notify the division office in writing (e-mail accepted) by December 31 for the subsequent election. Voting Process: Please review the election candidate profiles and make your selection to indicate your two representatives to the PSIA-AASI Eastern Division Board of Directors in your region. The candidates selected will be serving three year terms from April 1, 2019 – March 31, 2022. Board Candidate Eligibility: Please note that in compliance with PSIA-AASI Eastern Division Bylaws Section 10.3.A, only one candidate having an education staff employment affiliation, as either an Examiner or ETS Member, with PSIA-AASI Eastern Division may be elected in each region. Candidate employment with PSIA-AASI Eastern Division is indicated where applicable. Voting Deadline: March 8, 2019. The online voting system will be deactivated after this date. Thank you for participating in this important membership benefit – your right to choose your own regional leadership. The Board candidate receiving the most votes in each region is elected the Regional Director; the candidate with the second-most votes will be elected the Regional Representative (within compliance of the association bylaws provisions relative to Board elections). The three-year Board terms will commence April 1. No write-in votes for any positions are accepted. Thank you for your support and dedication to PSIA/AASI and your membership! If you have any other questions, feel free to give us a call.